After emerging victorious for four games straight, the RBHS boys’ baseball team fell against the Staley Falcons, 6-4, and are now at 21-6 for the season. Early on in the game, the tide appeared to be in favor of the Bruins. Junior Nick Wohlbold added the first two runs of the game for RBHS in the first inning. For the first three innings, it appeared as if RBHS had a hefty chance of increasing their winning streak to five. In the top of the fourth inning, however, was when the tables began to turn against the Bruins, when the Falcons went on an offensive rampage and added five points to the scoreboard. By the end of the fourth, they led RBHS 5-2, and later tacked on another run in the fifth inning to increase their lead to four runs. 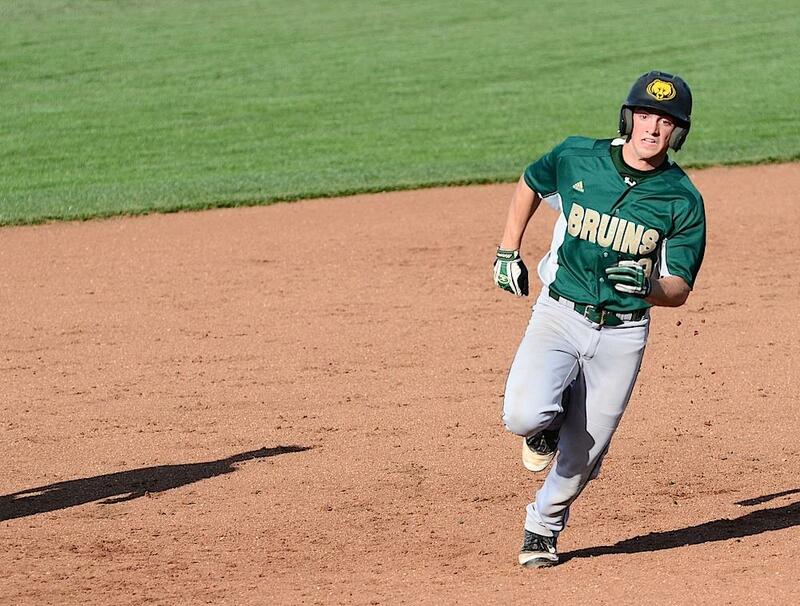 RBHS saw a beacon of hope in the seventh inning when senior Cole Evans managed to add two runs to the desperate Bruins, reducing the Falcons’ lead to 6-4. However, Staley was too much for the Bruins to contain, and eventually fell 6-4. “I thought the team did pitch well and played great defense all game, but the bats just couldn’t get the job done,” Wohlbold said. The next match on schedule for RBHS will be taking place on May 3 at home, in which RBHS will host the Jefferson City Jays. That game will also be senior night for baseball as well. Wohlbold hopes the team will achieve a solid win against the Jays, who possess a similar record as the Bruins.